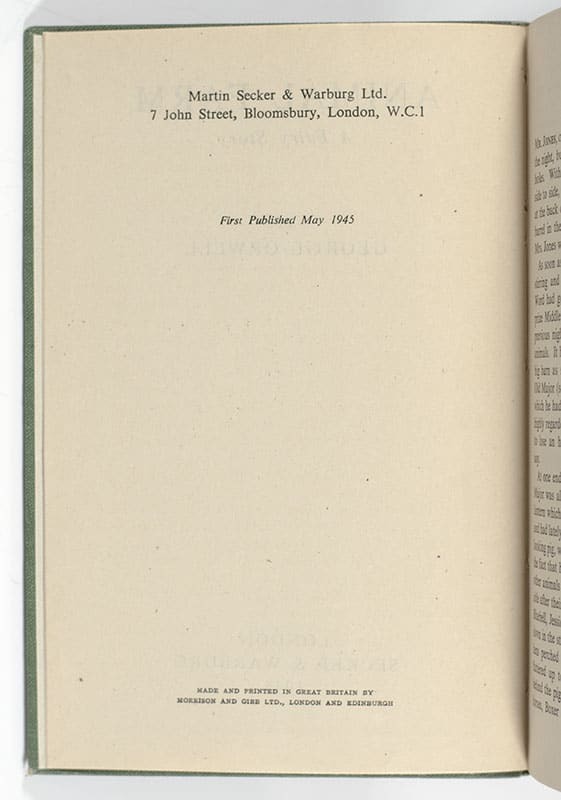 London: Secker & Warburg, 1946. 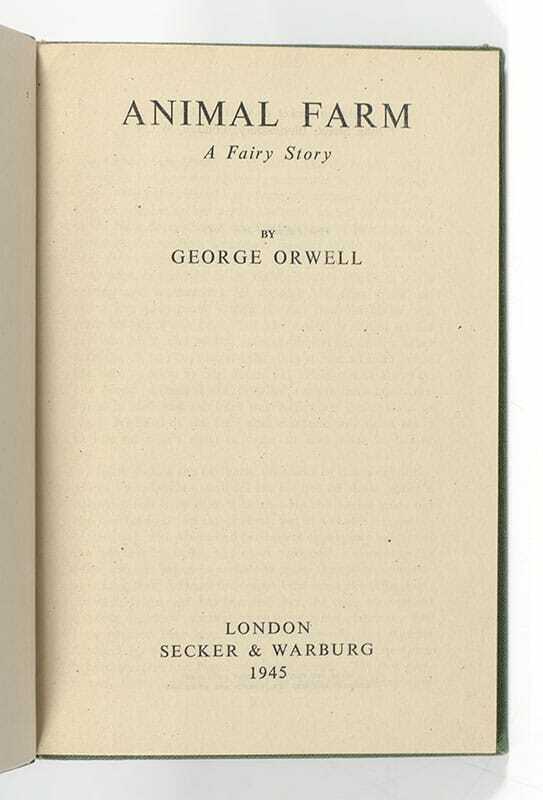 First British edition of Orwell’s timeless allegorical novel—a scathing satire on a downtrodden society’s blind march towards totalitarianism. Octavo, original green cloth. Near fine in a near fine dust jacket with light rubbing to the extremities. The dust jacket has the Early List for 1945 to the rear panel and the Search light motif in red to the reverse of the jacket. The jacket has a stated price of 6s. Housed in a custom clamshell box. An exceptional example of this classic Orwellian tale. "A political fable that partly recounts, in an allegorical mode, the aftermath of the Russian revolution, and partly illustrates a belief in the universal tendency of power to corrupt" (Stringer, 22)." 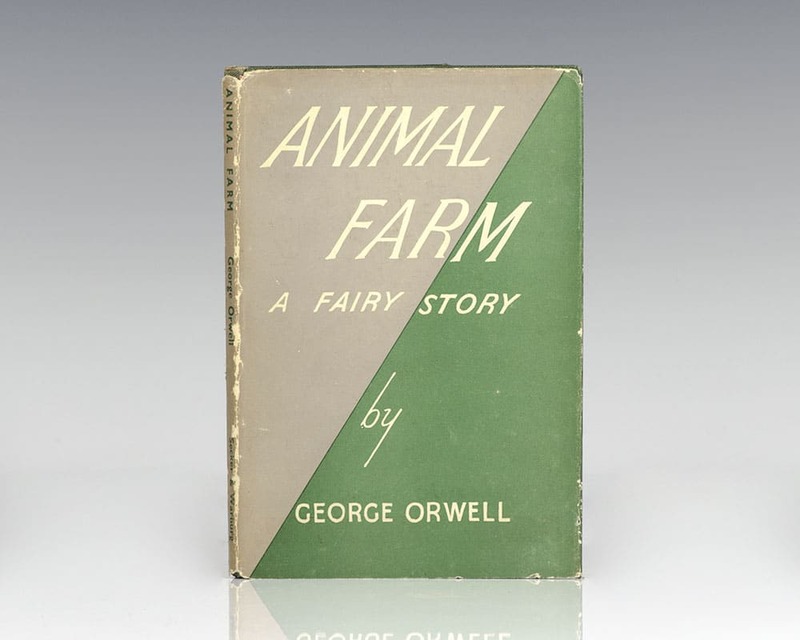 Animal Farm is [Orwells] masterpiece" (Connolly 93). 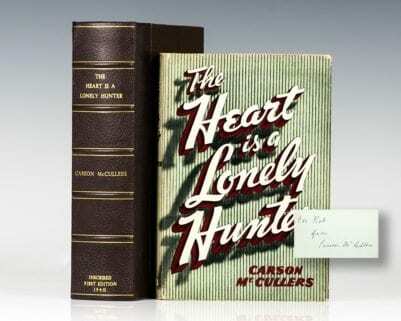 Time Magazine chose it as one of the 100 best English-language novels (1923 to 2005); it also featured at number 31 on the Modern Library List of Best 20th-Century Novels. It won a Retrospective Hugo Award in 1996, and is included in the Great Books of the Western World selection. New York: Harper & Brothers, 1934. 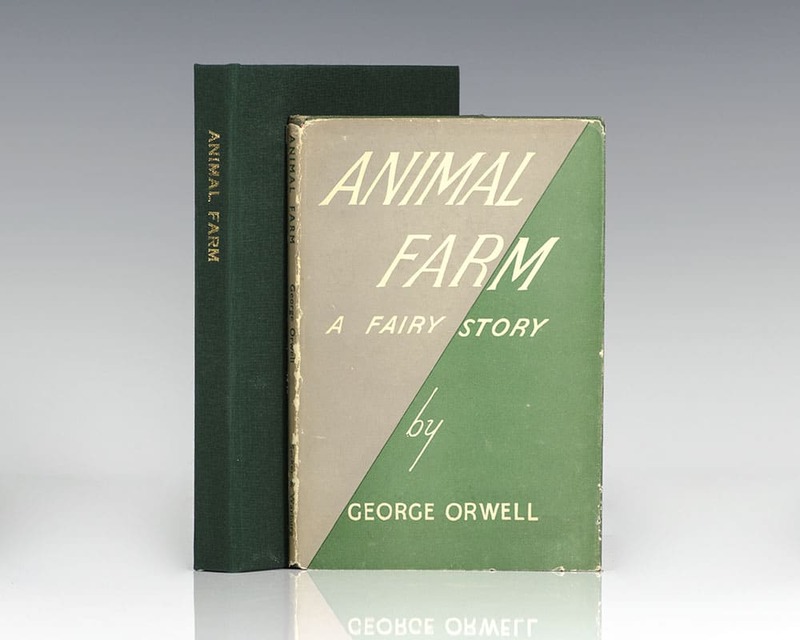 First American edition and true first preceding the British edition by one year of Orwell’s first novel. Octavo, original cloth. Presentation copy, inscribed by the author on the verso of the front free endpaper to Mabel Fierz, “With very best wishes from Eric Blair.” It was Mabel Fierz who introduced Orwell to Leonard Moore (who would later become his literary agent) after salvaging the manuscript for Down and Out from the writer’s discarded papers. After first meeting Orwell in Southwold, Suffolk, Mabel and her husband Francis became close friends with the writer and often invited him to stay at their house in Golders Green. On one such occasion, Orwell gave Mabel the manuscript, which had just been rejected by Faber, and telling her to save only the paperclips, said she should throw it away. Instead she took it in person to Moore who in turn took it to Gollancz. In gratitude, thereafter Orwell presented Mabel with signed copies of all his published works. Mabel Fierz, authorial inscription, typed letter signed by Mabel’s son Adrian Fierz loosely inserted. Near fine in a very good dust jacket. Housed in a custom half morocco clamshell box.